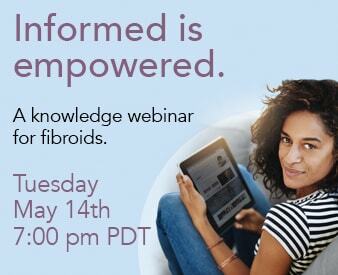 Share the post "A Scientific Breakthrough in Fibroid Genetics"
Scientist continue to look for answers as to the cause and etiology of Uterine Fibroids. Learn more about the latest research regarding a genetic link to fibroids. A research team at the University of Helsinki, Finland, studied the genetic structure of fibroids by determining the sequence of all the more than 20, 000 human genes, in a series of 18 tumors. This examination, along with further validation in over 200 fibroids, revealed very specific mutations in a gene called MED12, in as many of 70% of the studied tumors. Uterine leiomyomas, also called fibroids, cause a significant burden to women’s health. They are benign tumors that occur in 60% of women by the age of 45 years and cause symptoms such as abdominal pain and discomfort, and abnormal bleeding, in about half of the cases. Fibroids are also an important cause of infertility. Considering the clinical importance of fibroids, relatively little has been known about the mechanisms of its genesis. Previous research has linked several genetic changes to fibroids. But these occur only in a minority of cases, so the Finland research team searched for much more common genetic alterations. In the study, researchers examined 18 fibroids collected from 17 patients. Using a technique called exome sequencing, they compared all protein-coding genes in the fibroids to those of normal tissue. Ten of those 18 fibroids displayed a mutation. When the researchers examined an additional 207 fibroids from 80 patients, their analysis confirmed the “striking frequency” of the genetic mutations of MED12. Based on their findings, they conclude that such mutations likely play a key role in the development of fibroids. Being that such a large proportion of fibroids displayed such specific mutations provides some hope that targeted therapies could be designed in the future. As Dr. Lauri Aaltonen, the leader of the research team, commented,”This is a giant step towards understanding why fibroids arise, but towards design of targeted therapies it is a very early step. Let’s hope that this journey has begun.” She hopes that this study has opened a doorway to uncovering the etiology of uterine fibroids.